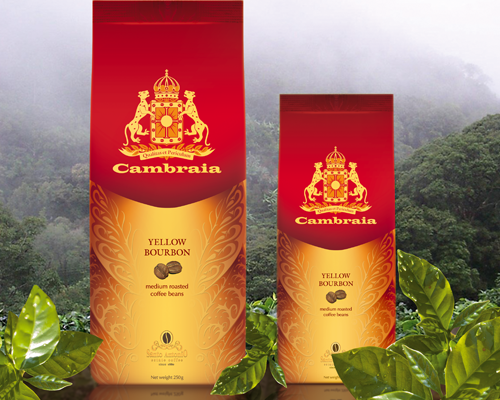 Cambraia Yellow Bourbon is the elite coffee blend from Brazil that grows only on a few plantations in the world. Cambraia is the family name of the owner of the Brazilian plantation, founded over 150 years ago. 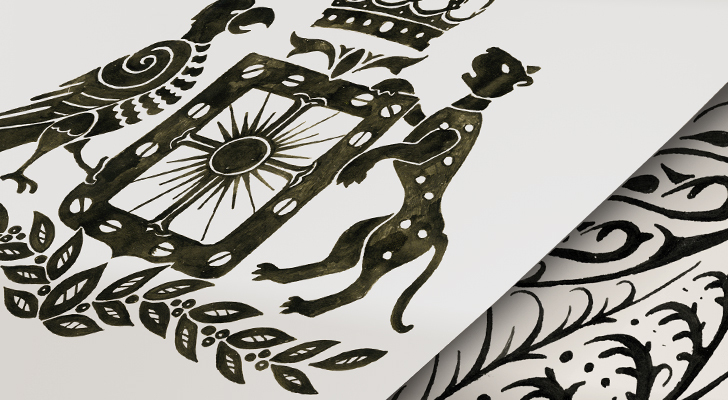 To underline the exclusive quality and heritage, the heraldry with Brazilian symbols was used in the trademark’s design: leopards, Southern Cross constellation, the sun, Brazil crown, coffee branches and beans. Design of the package highlights the corporate graphics in the form of the stylized coffee leaves. The trademark can be seen on the deep red background while the whole packaging is done in the golden shades evoking images of luxury and wealth.